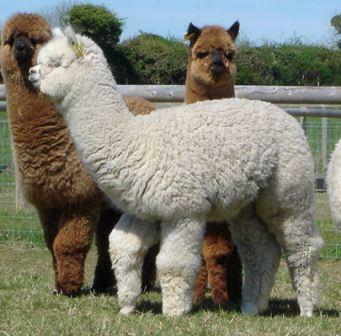 Here at Cherwell Leys Alpacas we are committed to breeding our alpacas with carefully chosen sires for the improvement of their fleece quality. Here at Cherwell Leys we are breeding for finer fleeces in every way. Fineness in micron count, density in clip weight, length of fibre to improve clip weight, regular crimp over all the blanket and beyond, lack of medulation (coarse guard hairs and coarse primary hairs) to improve comfort factor, lustre and brightness within the fibre which is apparent in the processed fleece. We have set high standards for our ongoing breeding programme, which requires detailed analysis of the cria born to ensure that we are progressing in our chosen direction. To confirm our birthing programme we visit and take our alpacas to the BAS run Alpaca Shows throughout the year, when birthing will allow. Alpaca welfare always comes first at Cherwell Leys. 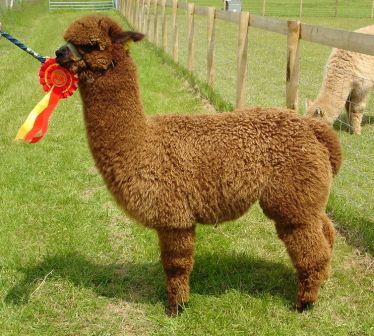 When you are judged against the best of the alpacas and take home ribbons you know that you must be achieving what you are working towards. 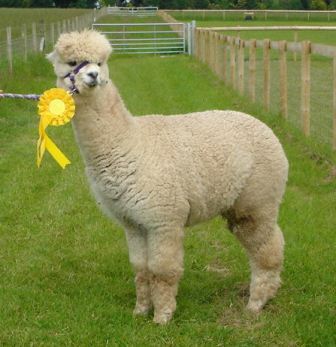 You can never rest on your laurels and need to keep improving for the future of alpacas is constantly evolving. 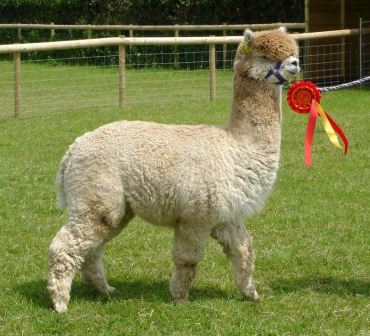 2011 our first Fleece Show, Heart of England Fleece Show 4 entries 4 first places and more !! Cherwell Leys Andromache, first place 48 months+ Brown, she's still got it !! Cherwell Leys Tangaroa, first place and colour champion and SUPREME CHAMPION, the best huacaya fleece in the show, a testament to our breeding program for breeding finer fleece. 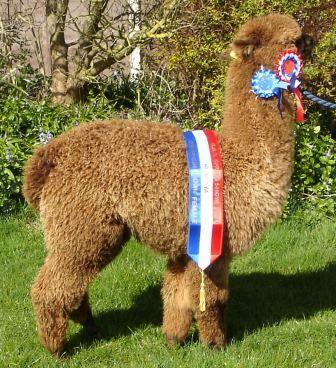 2011 after the birthing season a trip to the inaugral Southern Alpaca Group Romsey Show, 8 alpacas, 8 places and a Reserve Champion too !! The Girls, best placed Cherwell Leys Isabella, 2nd Adult Female and Reserve Champion, continuing on from her Dam Cherwell Leys Spirit of Islay. 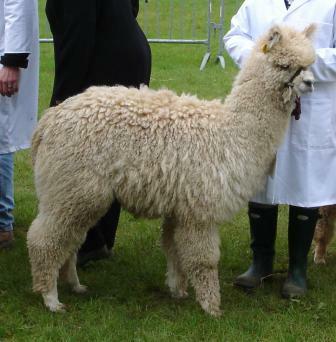 2009 was a trip to BAS South of England Show, the result was a 5th place for Cherwell Leys Rufus in a large class of quality alpacas. 2008 was a difficult year for us to attend any shows, we were within the blue tongue restriction zone so had to cancel many that we had booked in to. Our only show of the year was at Ardingly, the BAS South of England Show. We were not to be disappointed with a first place, Reserve Champion White and a third place. Complimented by the Judge, Ian Waldron, on her superb fleece, excellent lock structure, fineness, density and crimp, a difficult decision between her and the eventual choice of Champion. We were so pleased with Islay's success as the White Classes are so highly contested. He won first place White, CHAMPION WHITE, and to top it all SUPREME CHAMPION at Bath & West Show 2004 The best alpaca there that year !! He was purchased by Cherwell Leys as the cornerstone of our breeding programme, with his impressive fleece credentials and his ability to pass this on to his progeny we were very excited for the next years births.